Despite the slowdown in exports growth and an adverse external environment, the Union commerce ministry still believes it can achieve its target of doubling India’s exports to $450 billion by the end of fiscal 2013-14. The commerce ministry in a strategy paper earlier this year aimed at doubling India’s exports in the next three years. There is no reason to believe that the target cannot be achieved, Khullar said, adding that both the government and the exporters will need to have to put in more effort to make it happen. “Exporters need to diversify to new virgin markets such as Latin America and Africa and government needs to reduce cost of doing business." Achieving the export targets under the current circumstances is a “difficult task", said Indranil Pan, chief economist at Kotak Mahindra Bank. “Europe is likely to enter into a recessionary phase. The upward bias in growth in the US may fade out when the stimulus is withdrawn," Pan said. “In such a scenario, achieving the export targets looks difficult even with a depreciating rupee." The $300 billion export target for this fiscal is “still achievable even if exports slow down in the last four months," Madan Sabnavis, chief economist at CARE Ratings. However, projecting beyond the current year could be a “tricky task" as it would depend on the economic situation in our primary export markets, the euro zone and the US, he said. India’s exports growth plummeted 4.2% to $22.3 billion in November in the wake of a difficult global environment, even as imports were up 29.1% to $35.9 billion. In the April to November period, cumulative exports grew 33.2% to $192.7 billion, while imports rose 30.2% to $309.5 billion, leaving a trade deficit of $116.8 billion. To boost exports, there is an urgent “need to fix domestic problems like rail and port infrastructure, road connectivity and freight charges," Khullar said. External conditions are unlikely to get better with governments cutting expenditure, Khullar cautioned. “External demand conditions are not going to be conducive for exports," he said. “If you want your exports to grow, you have to figure out what you are doing wrong domestically because you cannot fix global problems. Things like reducing cost of doing business in India will help in gaining competitiveness by exporters," he said. 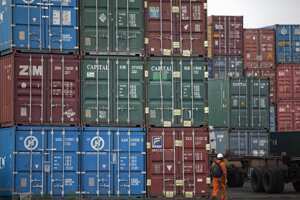 With imports outstripping exports, India is confronted with a “serious" balance of trade position, the commerce minister said. “Should such a situation of balance of trade arise, the easiest thing to ask would be to put curbs on imports. But that would be the most unfortunate thing. That’s why we want exports to double quickly," he said. The depreciating rupee will provide necessary incentive to exporters, Khullar said ruling out any government sops given the stretched fiscal situation. The rupee has depreciated by about 17% against the US dollar in the last four years.